Ok, so not super South African, but for the cut of meat. But I'll market it as South African! Actually, the really South African version needs to be cooked over a fire, but I just cooked mine on our stove. 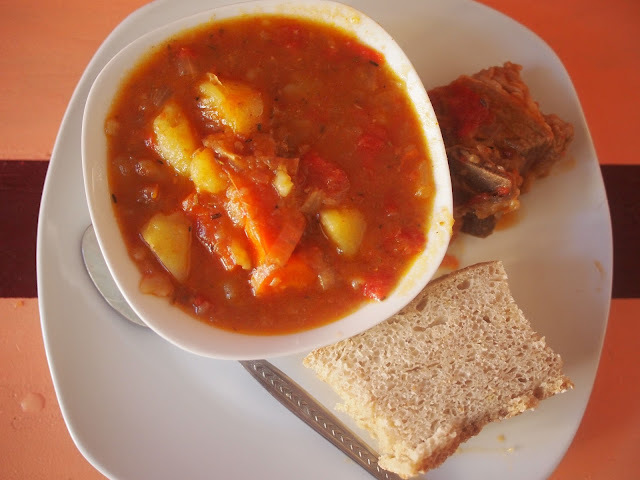 Potatoes, an onion tomatoes, carrots, potjiekos (stew) meat, some water; curry powder, ginger powder, rosemary, and a stock cube or two. It's a good idea to start the meat first, and cook it for a while. I kept the stew on the stove for about 2 hours on low-medium heat, and I think it got much better in the hour after. It's a really simple comfort food, and I'm looking forward to enjoying it in winter. I'm surprised by how much you can just follow your sense of taste, rather than focus on a recipe. 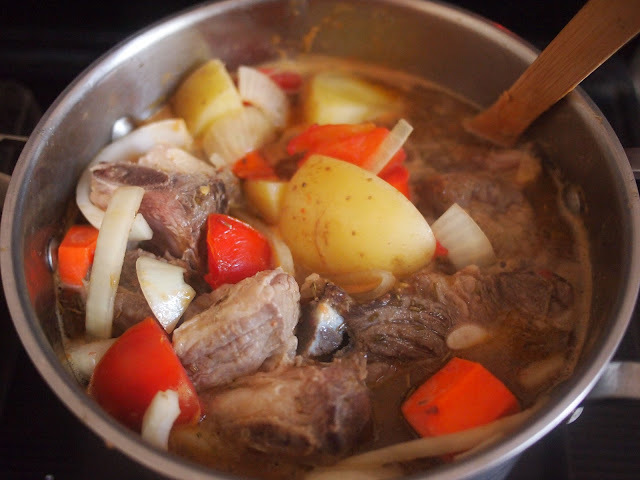 Just try the ingredients you have on hand (root vegetables are good), and have some stew meat in the fridge or freezer.